In the past month we played our special “music” to the Thanda Lions on numerous evenings. 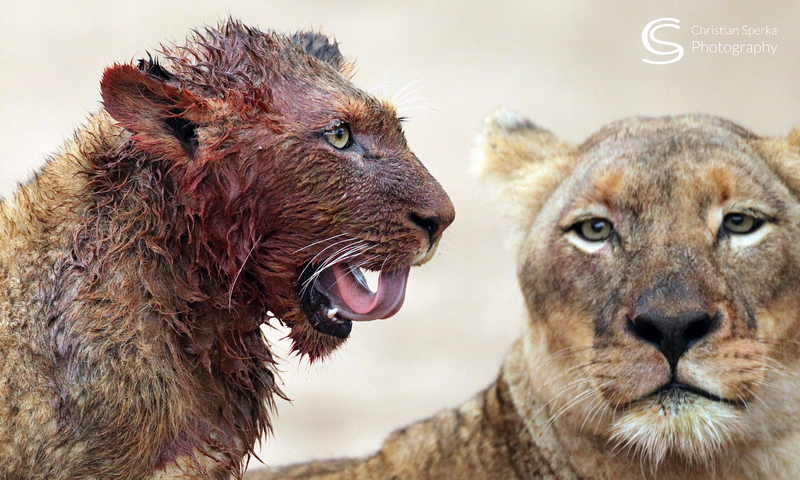 (Also see our blog message about two young male Lions which are to be transferred to another game reserve – BUSH DISCO ? – http://thandablog.com/2014/03/01/bush-disco/). A few times they joined us for dinner but often nothing happened. Every time we asked Mike Toft, our veterinarian for this Lion capture operation, to be there during these call-ups, the Lions decided not to respond. A few days ago, just as the sun came up, they came out to a road and decided to take a break right in front of our vehicle. But we had to race off to a very important meeting and the vet was far away. So darting was out of the question. And as usual, when we had everything in place, they were gone. 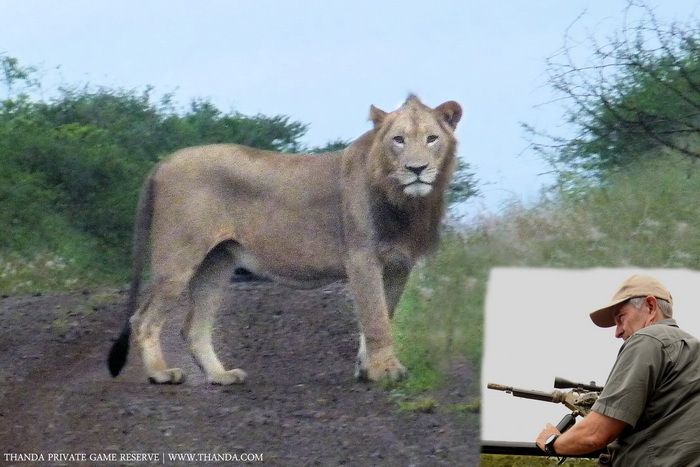 The picture shows one of the young Lions in twilight and veterinarian Mike Toft with his dart gun. Thanks for sharing the update. These two must be pretty smart to be able to alude capture for this long. It almost like their playing a cat and mouse game with everyone. Good luck to the team. Clever beast! They don’t want to leave home, obviously. But I’m sure you will get them sooner or later. Previous PostPrevious My Space or Your Space?